We have at our hands the finalists a.k.a. The best in Europe as France hosts Portugal in the final of the UEFA Euro 2016 at the Stade de France in Paris. Both teams have proved themselves as they have reached this stage. Now whatever happens no team would want to end up on the losing side but someone has won, and someone has to lose, but they should always remember that reaching here was never easy. 11th July 2016 at 00:30 (IST). France have been waiting for this moment for the last 16 years as they want to get this trophy back home as they did it in 2000 when they last won the Euros in which they beat Italy in the finals by 2-1 to lift the trophy, they also won it in 1984 and are the only team apart from Germany and Spain to have won it more than once. They have been very busy in the goals department as they Griezmann has scored six, Dimitri Payet has scored three and Giroud have scored three, in the assists department, Payet, Griezmann and Giroud all have two each. They have been excellent up front, and Portugal needs to be at their best in the defense. They have won five and drew one in the six games they have played till now in the tournament including beating and knocking out the World Cup winners Germany in the semi-finals by 2-0. 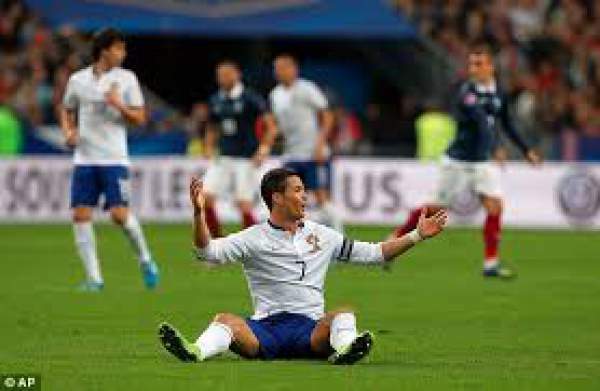 Portugal has never won this competition, and their best finish is the runners up position in 2004 where they reached the finals in Lisbon but got defeated by Greece in the game their top scorer Cristiano Ronaldo has been waiting for this moment for the last 14 years and finally got another chance at the trophy. He has been their top scorer with three goals and two assists to his name with Nani following as he has three goals as well with one assist. They have drawn three and won three which included defeating Wales in the semi-final by 2-0 to reach the finals. Lloris, Koscielny, Umtiti, Evra, Matuidi, Pogba, Griezmann, Sissoko, Payet, Giroud. Silva, Patricio, Rafael, Fonte, Soares, Alves, Sanchez, Mario, Pereiro, Nani, Ronaldo. France has a better chance of winning this. POR vs FRA, the final of Euro 2016 is set to start at 12.30 a.m. IST (9 p.m. local time, 8 p.m. BST, 3 p.m. ET) start. Below is the complete information of the TV and live stream. India: TV: Sony ESPN/HD and Sony Six/HD. Live Stream: Sonyliv and ESPN.in. France: TV: TF1, M6 and Bein Sports 1 and 2. Live Streaming: Bein Sports Connect. UK and Ireland: TV: BBC One. And ITV1. Live Stream: BBC iPlayer and ITV Hub. Radio: BBC Radio 5 Live and Talksport. Germany: TV: ORF1 and SRF. Canada: TV: TSN1, 3, 4 and 5 and RDS. Live Stream: TSN TV. Malaysia: TV: Astro SuperSport. LiveStream: Astro on the Go. China and Hong Kong: TV: CCTV, G Sports, and LeTV. Singapore: TV: Eleven Euro Singapore, ABS-CBN, and Singtel. Portugal vs France Live Streaming: Singtel Go. Come back for the match result, full video highlights, scorecard and much more. Stay tuned to The Reporter Times for latest football news and other sports updates.